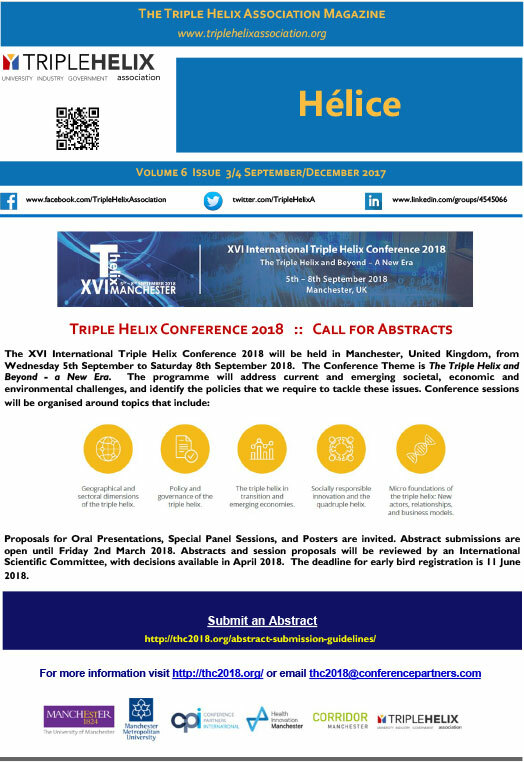 ARTICLES dealing with aspects of the interaction between academy-industry-government (Triple Helix) for fostering research, innovation, economic competitiveness and growth. Contributions should be in MSWord, 2500-3000 words, and include a photograph of the author. 28 May 2018 for June 2018 issue. 29 August 2018 for September 2018 issue. 28 November 2018 for December 2018 issue.